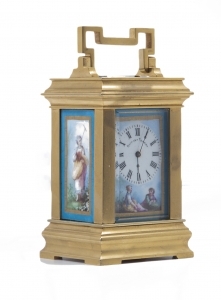 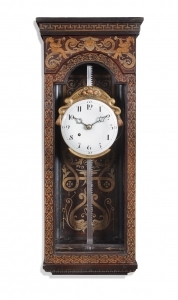 This very amusing, well made bracket clock has a beautiful dial with several animated workers in the sawmill who move with the swinging pendulum. 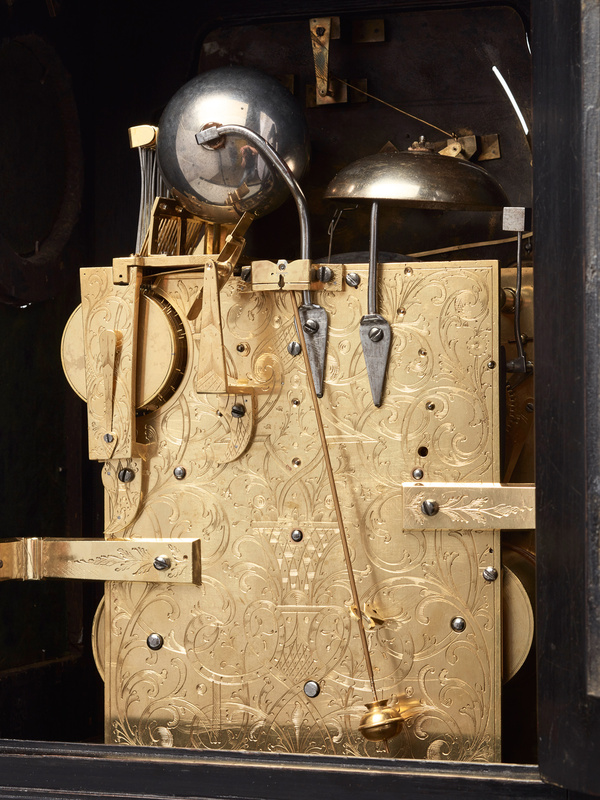 The musical movement with two tunes.The 3-train striking 8-day movement on bell, with knife edge suspension and verge escapement. 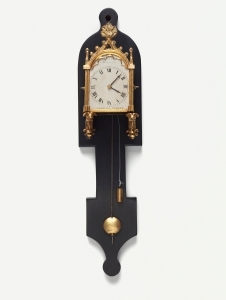 The musical train can be activated by passing the hour, or on demanding by pulling the cord that starts playing the tunes on a nest of bells. 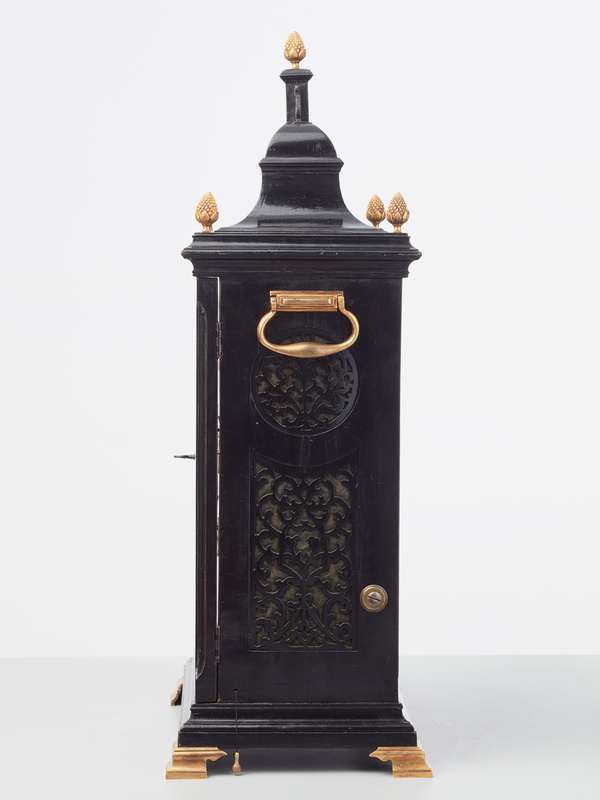 The nicely engraved backplate with typical floral design. 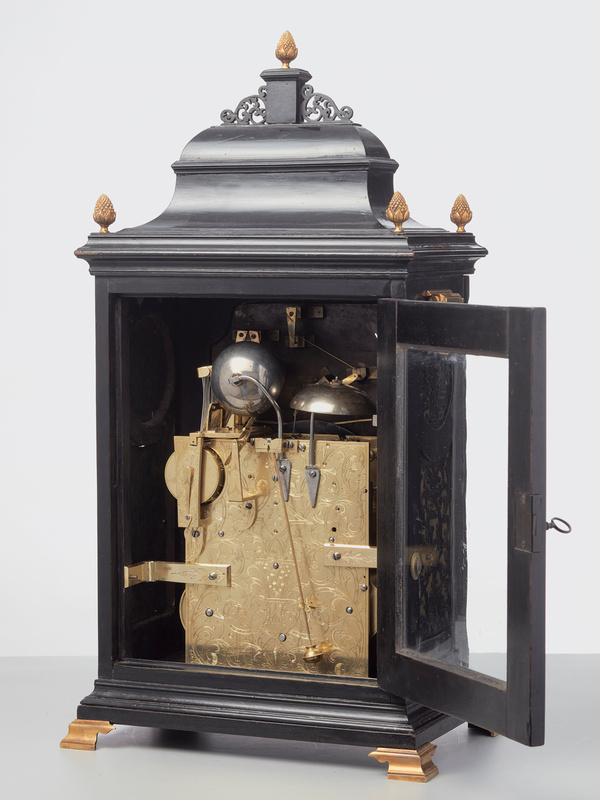 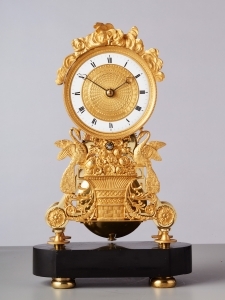 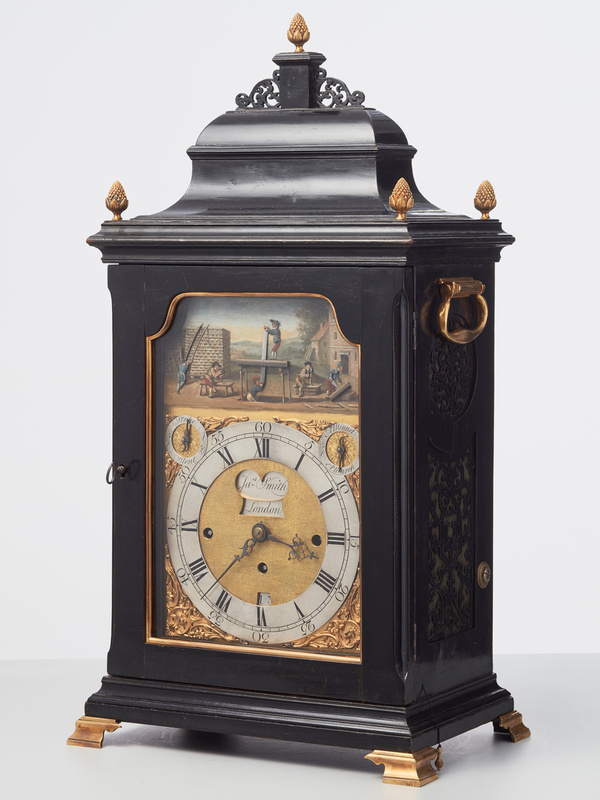 The prestigiuos bell-top ebonised case, with lovely fret-work and nice gilded finials on top and mounted on gilded bracket feet. 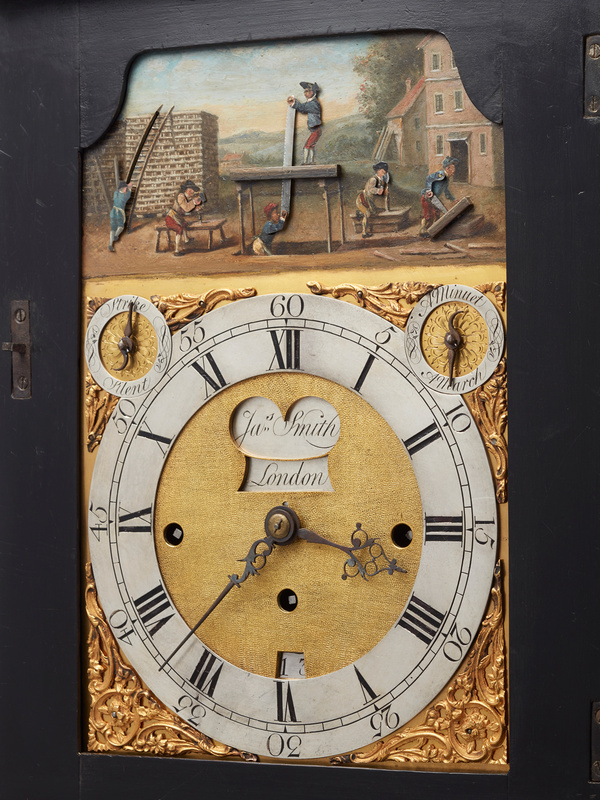 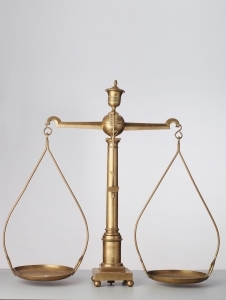 James Smith was an eminent clockmaker with a good reputation - he had a big workshop in London and produced many musical bracket clocks - one of his specialities. 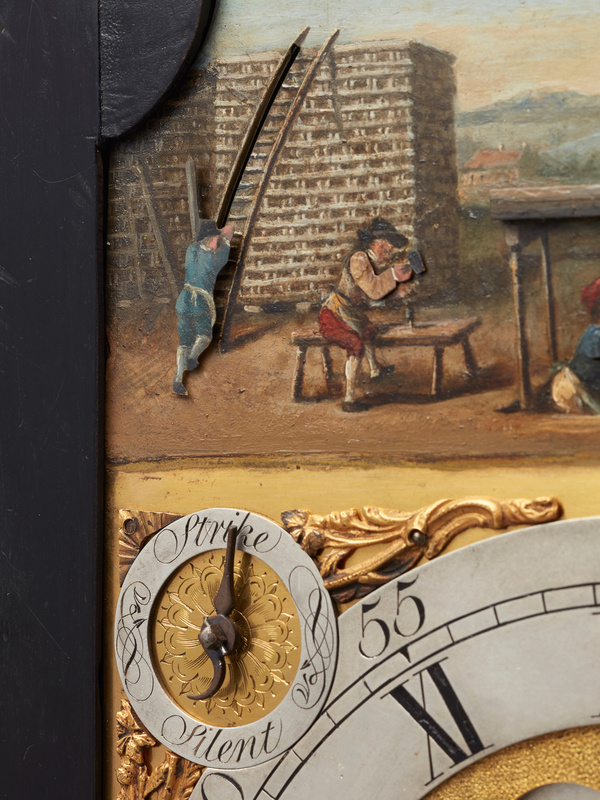 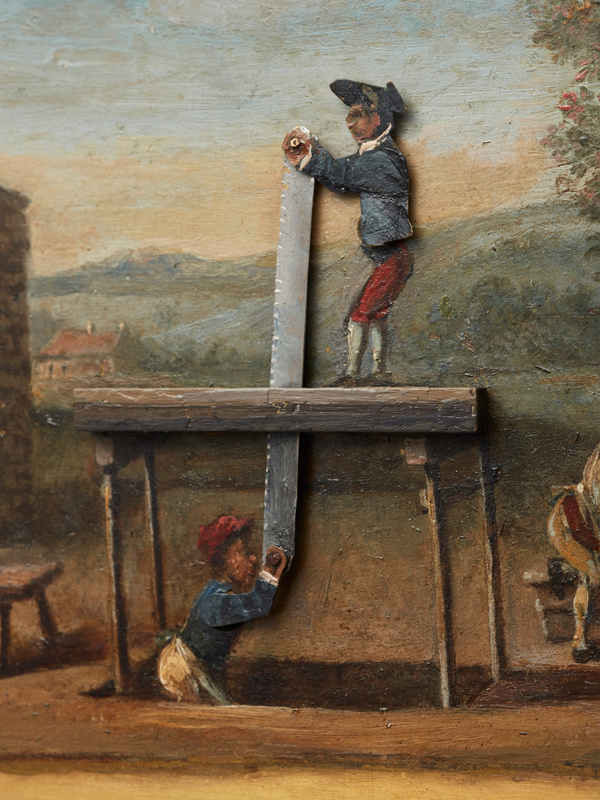 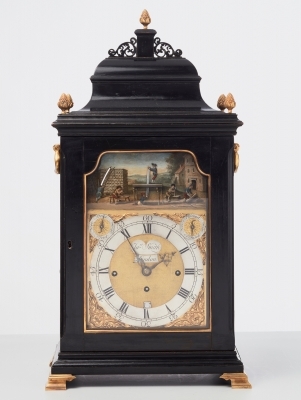 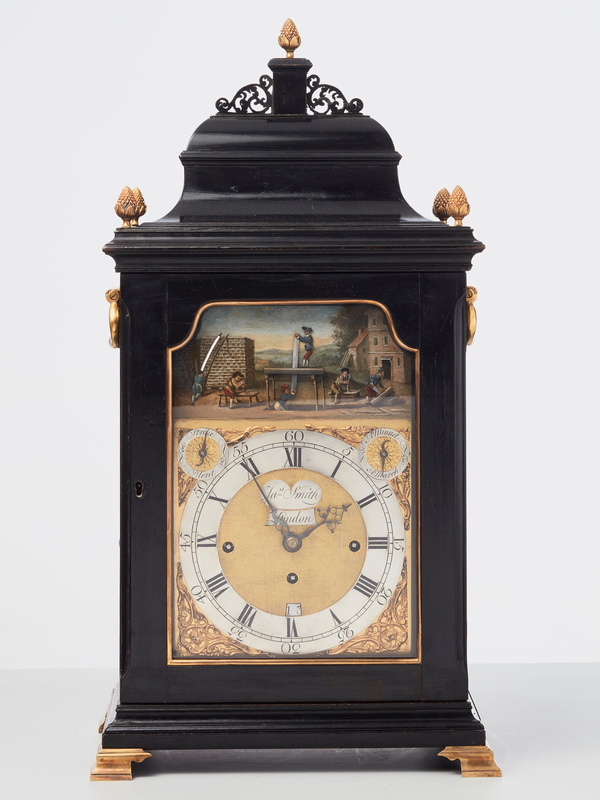 A rare and decorative Mid-European painted wood striking rack wall clock, circa 1780.